Donald Morris Kirkpatrick was born in Easton, Pennsylvania, in 1887, the son of Pennsylvania’s Attorney General William S. Kirkpatrick and Elizabeth H. Jones. He earned the degree of Bachelor of Arts from Lafayette College in 1908. He then studied architecture at the University of Pennsylvania, during the height of Paul Philippe Cret‘s influence there, receiving the Arthur Spayd Brooke Medal and graduating in 1911 with a Bachelor of Science degree in architecture. Kirkpatrick then served a brief apprenticeship with Thomas, Churchman, & Monitor. In 1912, he had just formed a partnership within with Sydney Martin, B.S. in Architecture 1908, when he won the Paris Prize enabling him to travel to France and study architecture for two years. When he returned to Philadelphia in 1914, he and Martin resumed their architectural partnership. 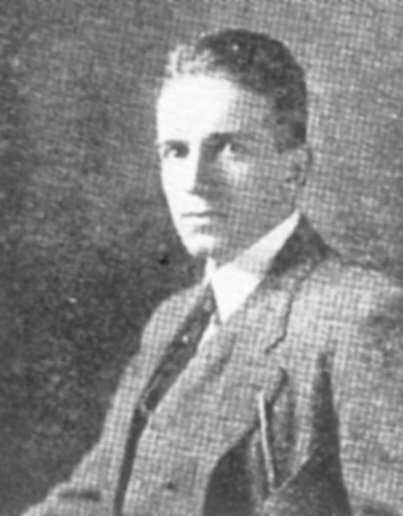 Kirkpatrick was awarded a Silver Star for his heroic efforts during World War I. In 1919 Kirkpatrick and Martin joined with older architect and fellow Penn alumnus Walter Thomas to form the firm of Thomas, Martin, and Kirkpatrick. As a member of this firm, Kirkpatrick was involved in the design and construction of the Christian Association (built 1927-1929) on the Penn campus. In 1931 Kirkpatrick left the firm to study etching and watercolors in France. Later that same year, he again returned to Philadelphia where he became an assistant professor of design at Penn. He held this position until 1934. Later Kirkpatrick continued his interests in etching and watercolors, eventually retiring to Bermuda.